Arsene Wenger has confirmed that Henrikh Mkhitaryan sustained knee ligament damage against CSKA Moscow in the Europa League on Thursday, and as a result, the influential midfielder was subsequently absent from Arsenal’s 3-2 victory over Southampton on Sunday and could be out for a substantial period. Although the French boss believes that the Armenian ace could still feature before the end of the 2017-18 campaign. Mkhitaryan picked up the hindering problem in the 61st minute during the quarter-final first-leg of the continent’s secondary tournament and will undoubtedly miss the second-leg in Russia this coming Thursday. Wenger also insists that the intricate playmaker could be sidelined for two notable Premier League meetings as well, but there is a glimmer of hope, it seems. Speaking to the Gunners’ official website, the esteemed tactician remained optimistic of a come back for ‘Micki’, a welcome prospect for the north-Londoners as they strive to lift European silverware after the domestic schedule comes to a close. “He’s got knee ligament damage,” ‘Le Prof’ revealed. “He will not be available for Thursday and not for Newcastle and certainly not for the week after, when we play West Ham. Since migrating south from Manchester United in January in a straight swap deal which saw Alexis Sanchez jump the other way, the 29-year-old has scored twice and has also provided his teammates with 5 assists, all within 12 distinguished outings for his new employers. 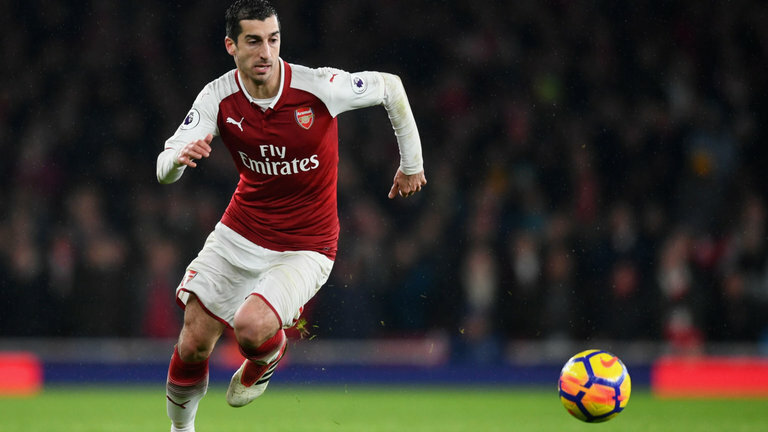 Arsenal aren’t necessarily short of creative ingenuity in the middle of the park, but it’s evident that when Mkhitaryan is on the turf and pulling the strings, Wenger’s fold are a lot more of a domineering, cohesive force. Share the post "Arsene Wenger offers Henrikh Mkhitaryan injury update"